Fox Lake Campground is a family friendly campground. Kids of all ages can be found relaxing at the beach, fishing, or taking a kayak or paddle boat out on the water. Full hookups and onsite store. 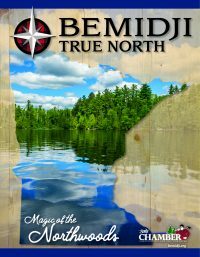 Located on Fox Lake, about 10 minutes north of Bemidji. Drive Hwy 71 north to Island View Drive. Take a left and then follow signs. Or take Irvine Ave./Hwy 15 north, then turn right on Hwy 22.